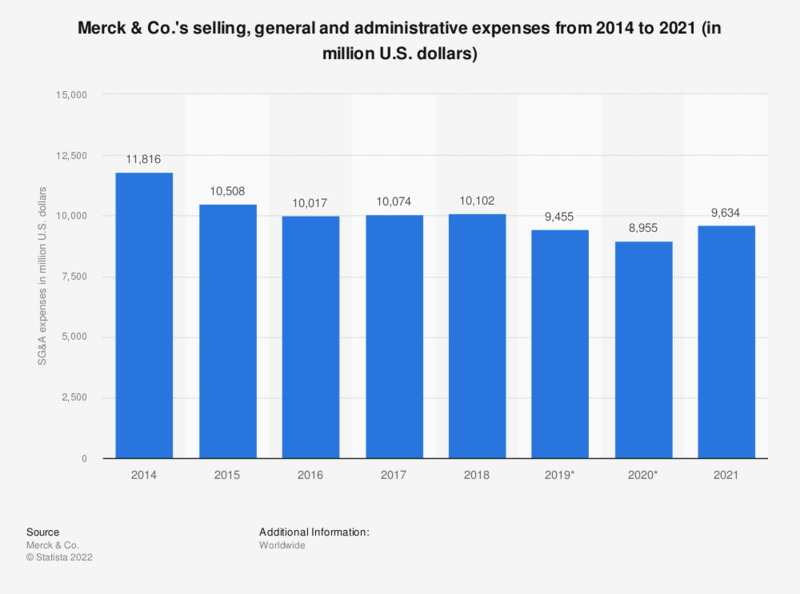 This statistic depicts Merck & Co.'s selling, general and administrative (SG&A) expenses from 2014 to 2018. In 2018, the total SG&A expenses of the U.S.-based pharmaceutical company stood at 10.1 billion U.S. dollars. Everything On "Merck & Co." in One Document: Edited and Divided into Handy Chapters. Including Detailed References. Statistics on "Merck & Co."